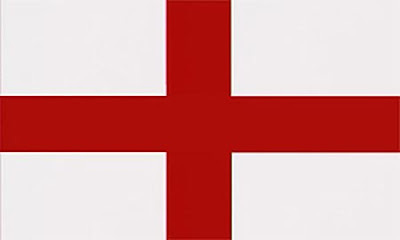 Reignite: Happy St George's Day! It's time we reclaimed St George's Day. It should be a bank holiday in England, and a day to celebrate the English traditions of dissent, and fighting for democracy and religious freedom. St George was definitely not English, and definitely not white. He was born in what is now Turkey, and so is an immigrant to this country. St George was a soldier in the Roman army. He went to the Roman emperor, without an army, without a sword, and challenged him personally to stop persecuting Christians. The emperor imprisoned him and beheaded him. So the story of Saint George is one of dissent and challenge to power; it is one of fighting for the rights of minorities; and fighting for religious freedom. It is these things that have a noble and proud history in England. St George’s Day should be about all those who defied the powers that be for democracy and freedom: Levellers, Chartists, suffragettes; those who fought for democracy, those who campaigned against slavery, and for human rights; for the rights of minorities and immigrants. This is the true meaning of St George’s Day. My call for rebranding St George's Day has made it into the Bolton News here. I shall post the video of my reflection on St George here next week. Update: My efforts have been blogged about what by Jonathan Bartley here. The ideas I've been banding about have all come from an Ekklesia paper here. As a Scot living for a few years in England, I'm always pleased to see the St George flag flying. It makes a huge change from seeing the Union flag everywhere. It may not be obvious to many people, but unfortunately a lot of people in England seem to confuse the concepts of England and Britain. The BBC, the London newspapers, try hard to be politically correct, and use the term 'British', but they so often get it wrong. The media talk about 'the nation' meaning Britain, but actually Britain is a collection of several nations - Scotland, England, Wales, a bit of ireland and (possibly) Cornwall. Likewise, many people don't realise, England doesn't have its own parliament - it has to make do with the uncomfortable fudge of Westminster, which has to serve as both the parliament for England and the parliament of the UK as a whole. Yes, England needs to recover its own identity, and that includes the celebration of St George's Day. England is a nation of regions as well. Yorkshire people, Scouse people etc all have distinct identities.